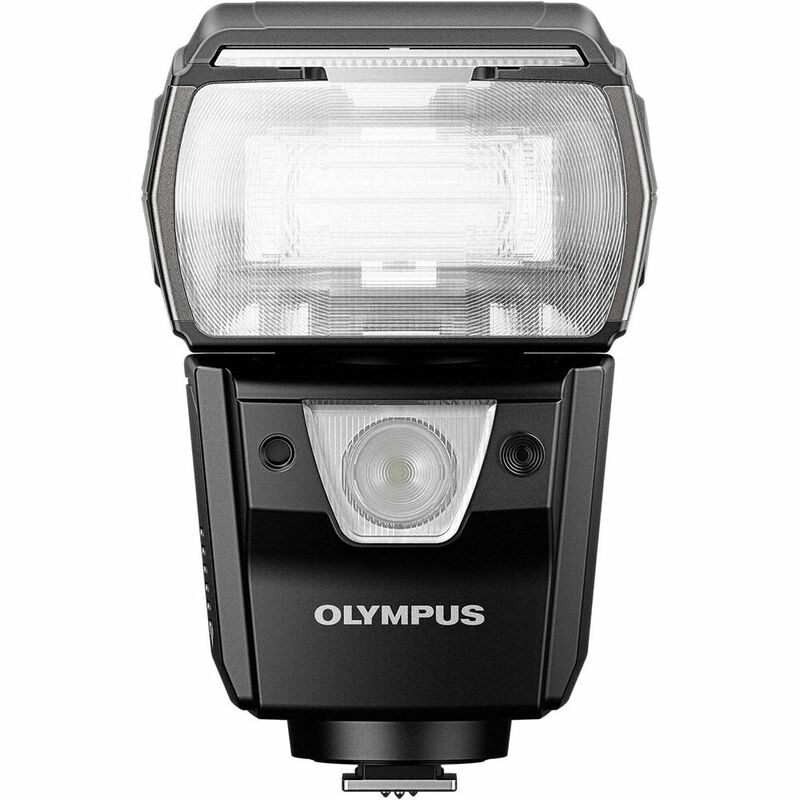 Illuminate your scene with the powerful FL-900R Electronic Flash from Olympus which boasts outstanding IPX1-rated weather resistance and a guide number of 190' at ISO 100 and the 100mm setting. Fully compatible with Olympus TTL, the FL-900R offers support for many advanced camera functions, such as High Res Shot and Focus Stacking, which are benefited by faster recycle times that speed up the process. Also, for the video shooters out there this flash is equipped with an LED light with a maximum output of 100 lux at 3.3' for constant illumination. Designed to pair perfectly with Micro Four Thirds system cameras, the FL-900R offers a versatile zoom range of 12-100mm, which is equivalent to 24-200mm in 35mm terms. This can be easily expanded to cover 7-10mm lenses, 14-20mm equivalent, through the use of the built-in diffusion panel. Also, the ability to tilt from -7 to 90° and rotate 180° left and right permits for numerous bounce flash setups. Another advantage of this flash are full wireless TTL features, including master, slave, and commander modes with 4 flash groups. Additionally, it offers your standard slow, high-speed, 1st and 2nd curtain sync options as well as a stroboscopic mode. Supports Olympus TTL system for use with special camera functions, such as High Res Shot and Focus Stacking, as well as automatic exposure and high-speed sync. Guide number of 190' at ISO 100 and 100mm (200mm equivalent) provides exceptional illumination in dark locations. Zoom range of 12-100mm (24-200mm) enables use of a wide variety of lens types. Also, a pull-out diffuser permits the use of ultra-wide 7-10mm (14-20mm equivalent) lenses. Flash head tilts from -7 to 90° and rotates left and right 180° for full bounce capabilities. LED video light provides constant illumination source as well as AF assist in dim lighting. It offers six output levels and can output a max of 100 lux at 3.3'. Wireless master, slave, and commander functionality expands the possibilities of the flash system. The FL-900R offers an improved commander mode via the included IR filter that offers control over up to four groups of flashes on one of four channels. IPX1-rated weather resistance and an operating temperature of 14-104°F provide this flash with the same level of sealing as Olympus' high-end mirrorless cameras, permitting use in a variety of inclement weather conditions. High-speed sync flash range has been expanded to 1/128 power. Flash supports rapid sequential firing and is rated to fire over 30 times at 1/32 power. Enlarged rear dial as well as improved graphical user interface for more intuitive control. Recycle time of just 2.5 seconds at full power with NiMH batteries.